Why not just stay in motels? The road-trip standards-motels and diners-are not as homey or reliable as having your own kitchen, bathroom, and beds. Traveling by RV, you can easily tote along bikes and other big toys, socialize or play cards on the road, and stay for cheap at spots where hotels cost hundreds. You can also spend the night at remote locales where hotels don't exist. "You're often closer to the attractions, so there's more time for activities," says Jim Rogers, president and CEO of the Kampgrounds of America chain. "In the evening it's like coming back home, with a barbecue and a glass of wine by the fire." The Class C, or Cabover model, is the most popular rental and ranges from 22 to 31 feet long. The front end looks like a pickup truck (it drives like a pickup too), and the C comes with a double-bed loft above the driver's seat. The other option is the Class A (the Class B model is rarely ever rented), which looks and feels more like a bus. The A models are 28 to 36 feet long. The bigger rigs are roomier inside with more space devoted to sofas, eating areas, and the like. How many people will it sleep? Two to seven people, depending on the model. A 25-foot C, for example, has beds for three adults and two small kids. Travelers who like their space swear by the rule that you should take the vehicle's max and cut it in half. "If the attitude's OK, the more the merrier," says Bob Caldarone, spokesperson for Cruise America, the largest RV-rental agency in the U.S. "You can always put the kids in a tent if they get on your nerves." More than 16,000 U.S. campgrounds allow RVs, and around half are on public lands. Nightly fees generally range from $10 to $45. At the low end, you get a parking spot and maybe a barbecue grill. For around $30, the RV park is more likely to have playgrounds, laundry areas, and something that's lacking in motor homes: spacious, hot showers with good water pressure. Most places also have hookups for water and electricity and a place to empty your sewage tank. (When you pick up the RV, an orientation guides you through these tasks, none of which is much more complicated than pumping gas.) 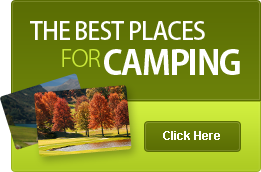 A regional campground guide from Woodall's is a good buy. There are also places to park for free-rest stops often let you settle in for eight hours, and many Wal-Marts allow you to stay overnight in their lots. Go to freecampgrounds.com for advice. The daily rate can start as low as $45, but the bottom line-after you add in taxes, fees, and miles (not typically included up front)-is more like $80 to $300 a day. At El Monte RV you can prepay for 300- or 500-mile packages for about $90 and $150, respectively. They'll charge you 324 per extra mile and won't refund unused miles. Cruise America charges a flat rate of 29¢ per mile after you've returned. Expect to get 7 to 11 miles a gallon. The drop-off charge for one-way rentals is usually at least $200. Most agencies also charge for not refilling the propane tanks or pumping out the sewage. To relocate their inventory, Cruise America and El Monte RV offer a limited number of special one-way promotions. For rentals this spring, El Monte knocks off 50 percent, throws in 1,500 free miles, and drops the one-way fee on trips from Los Angeles, San Francisco, or Las Vegas that end in Dallas. Am I too old for this? Too young? The stereotype is that behind the wheel of every RV is a white-haired retiree, but the average age for buyers is actually 49. The RV setup works particularly well for young families. "You have a bathroom, so you don't have to stop every 15 minutes," says Donna Wiss, 34, of Littleton, Colo. She rented an RV with her husband and two kids for a trip to Wyoming last summer. "It was easy to do naps and feedings with the baby. We tented the previous summer, but RVing is so much nicer and cleaner." Most RVs come equipped with small sinks, refrigerators, stoves, and microwaves, but it's best to keep the cooking simple. For dinner, make use of the campsite barbecue grill. Have disinfectant wipes handy for cleaning up after meals. What else do we need to bring? Plenty of charcoal, for one. But that, food, paper towels, and other necessities can be bought on the road. Agencies rent kitchen packs for about $85, with plates, pots, pans, cooking utensils, a broom, and a flashlight, and personal kits (around $35 each) with pillows, blankets, sheets, and towels. Or bring your own towels and sleeping bags, and invest in a set of campsite cooking gear. Many RV-rental hubs give free transfers from nearby airports, and they're close to major recreation areas. The spectacular views of Skyline Drive in Shenandoah National Park are 90 miles outside of Washington, D.C. Or fly into Spokane, Wash., for access to Coeur d'Alene and the woods of Idaho and Montana. Pick up an RV near California's Oakland International to explore Lake Tahoe, the Monterey coast, or Napa's wine country. It's also possible to see Mickey Mouse by RV: Ft. Wilderness, a campsite inside Disney World, has RV spots with water and electricity hookups from $38 a night. 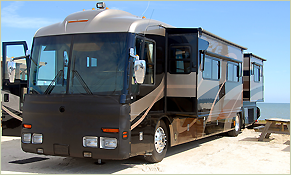 RV TOURS CALIFORNIA – west coast. A really popular route for an RV trip is in California on the west coast. Maybe that’s because California has everything. You will find sunny beaches, big forests and even lonely roads. Most of the people think that this route is only to visit the big cities but that’s not true! Of course you will find some big cities along the road but also a lot of nature and spectacular views. This is an amazing route for an RV trip! 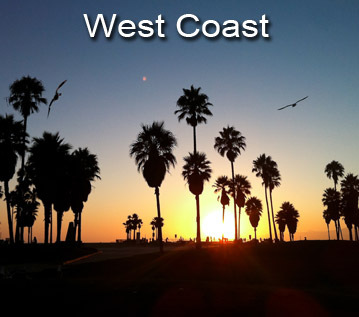 We will describe some routes for your RV trip on the west coast. This is one of the best known routes on the West Coast. That’s because you will visit the most special cities and national parks. It’s a long route but it’s worth it! Even though you will not only see highlights on this route, it’s a great route to combine peace and nature with cities and hectic. On this route you aren’t going to see any of the so called ‘big highlights’ of the Golden Circle. Be surprised about what the west coast has to offer!